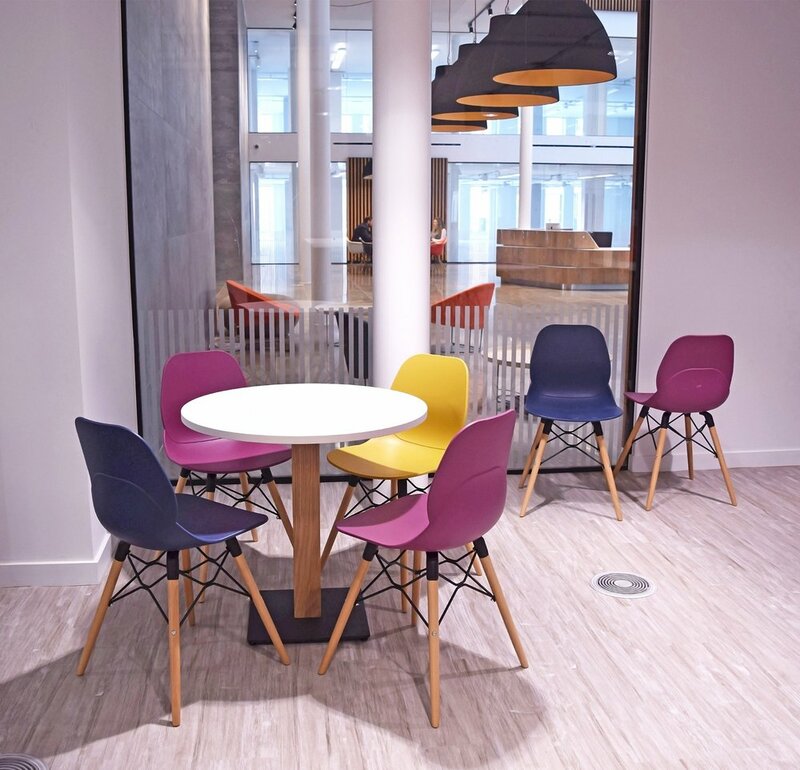 In the heart of Uxbridge, the newly refurbished Charter Building is an exceptional model for collaborative workplace design which reflects the ever-changing modern office environment. The distinctive 1980’s building, which was once the UK headquarters for Coca Cola, has been transformed into over 240,000sq. ft. of high specification, Grade A office space. The new building features an impressive central atrium as well as flexible, open floor plates of over an acre in size and ceiling heights of up to 3.4 metres. The innovative contemporary workplace was designed to promote co-working, collaboration and foster creativity for a community of forward-thinking businesses. Landid Property and Brockton Capital, together with dn-a architects, redeveloped and extended the existing Charter Building, which is now one of the largest new office buildings in the South East. A key design feature of the refurbishment is the central ‘street’, which runs internally from North to South with entrances on both sides. This dynamic space acts as a breakout area to encourage co-working and promote workforce wellbeing. The shared open street includes a concierge service and coffee shops along with quiet zones to offer occupants a chance to refocus, think and relax. Jazz Networks, a growing tech start-up with offices in both Oslo and London, is among the first occupants of the Building, taking 4,600 sq. ft on the Ground Floor. Founded in 2016, this young company is on the forefront of the technology industry working on challenging new product solutions for enterprise data and network security. PSG Global managed the design and furniture fit out for Jazz Networks. 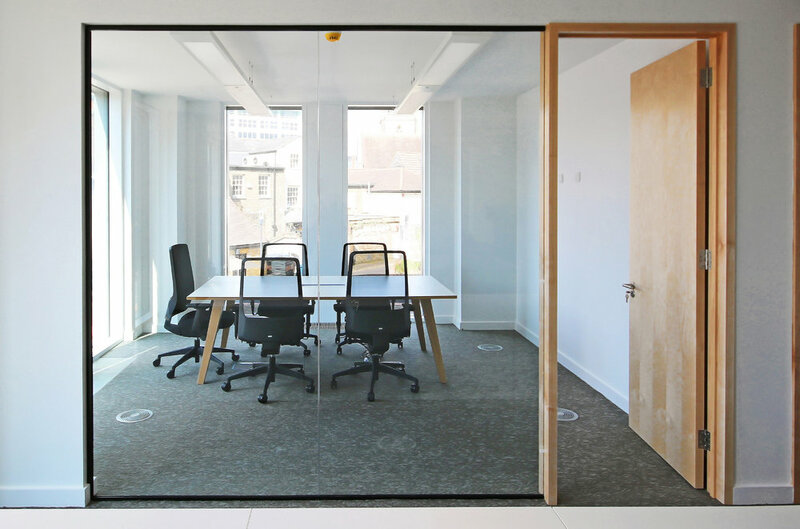 The project primarily included open plan working spaces as well as several meeting rooms and a breakout area. 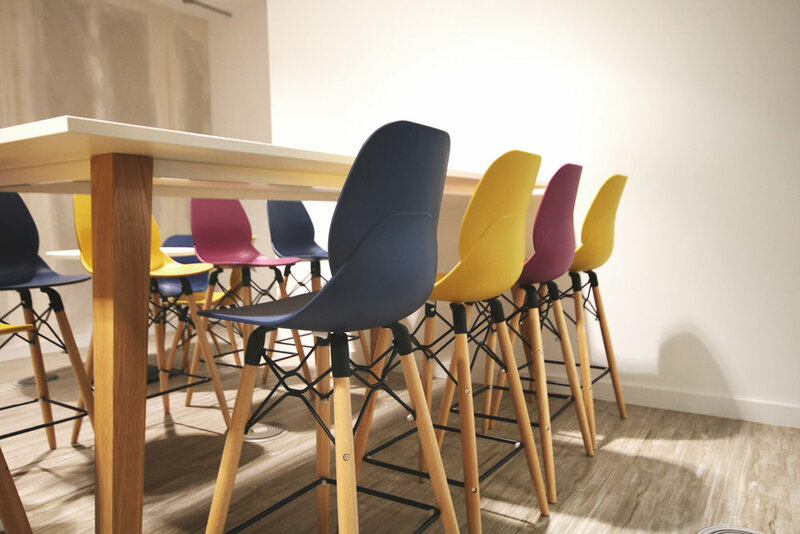 TASK were delighted to work with PSG on this exciting project and achieve a time conscious manufacture, delivery and installation of the furniture as specified. A selection of high quality TASK products were chosen to complement the unique contemporary interior. One of these products was WORK, a desking system with a styled angled leg which supports a steel parallel beam structure. This framework forms a solid base for the top panels and screening options. 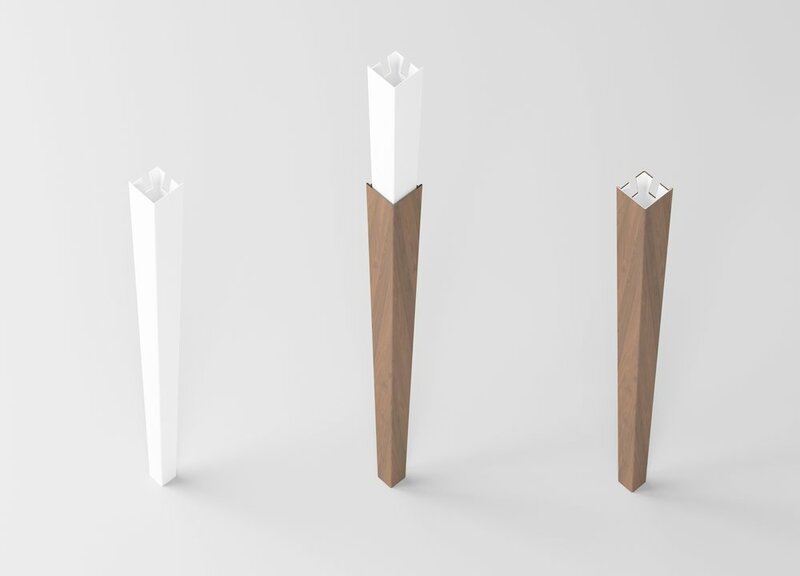 For Jazz Networks, TASK redefined WORK with a bespoke version, which features a wood veneer sleeve that covers the original steel leg. The internal metal structure provides extreme strength and stability while the veneer cladding opens up great scope for custom design solutions. Wood cladded metal frame combines stability with much softer look. 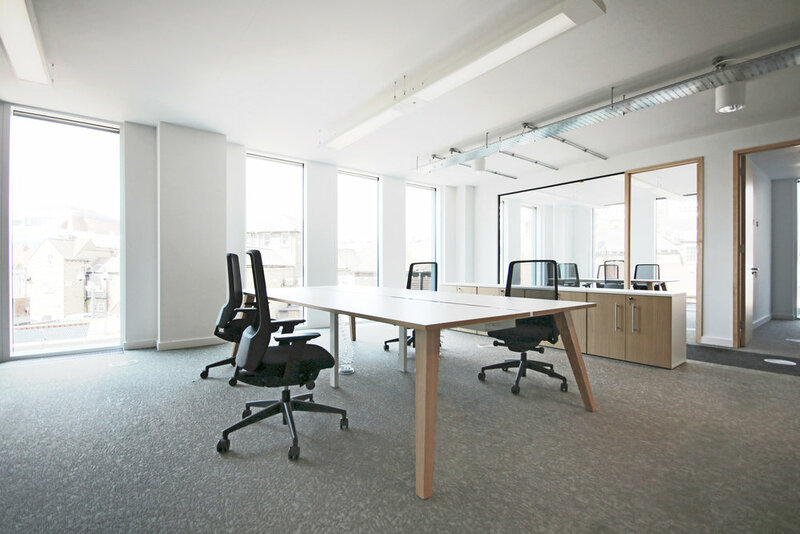 In keeping with the new building ethos, the custom-made workstations were supplied without the screen option to create a more open and informal work space, while both workstations and meeting tables feature oak veneer clad legs. The integrated cable trays provide a discreet and efficient wire management solution. Aimis1 task chairs were selected throughout the office space for their superior design and extreme comfort while TASK storage in MFC with soft close doors completed the look. In the breakout areas, a high table version of WORK was chosen. The inner steel leg allows for much greater structural strength hence surpassing the limitations of a solid wood leg for high tables. 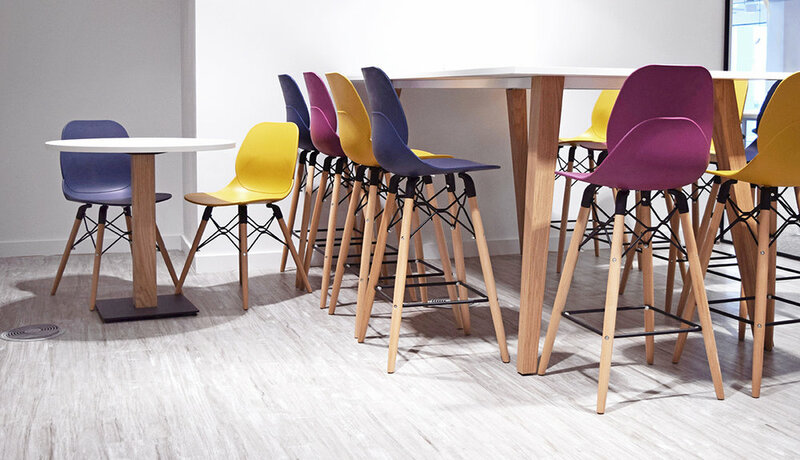 Vibrant high stools with solid oak legs were the preferred choice to complement the oak veneer of the table base.